Hey there loves! Today I have Part One of my Salon Perfect review to share with you. I was sent a good amount of polishes as well as three Nail Polish Sprays to test out and instead of bombarding you with a ton of photos and info all at once I figured I would break it up into 3 parts so you could enjoy each shade properly. 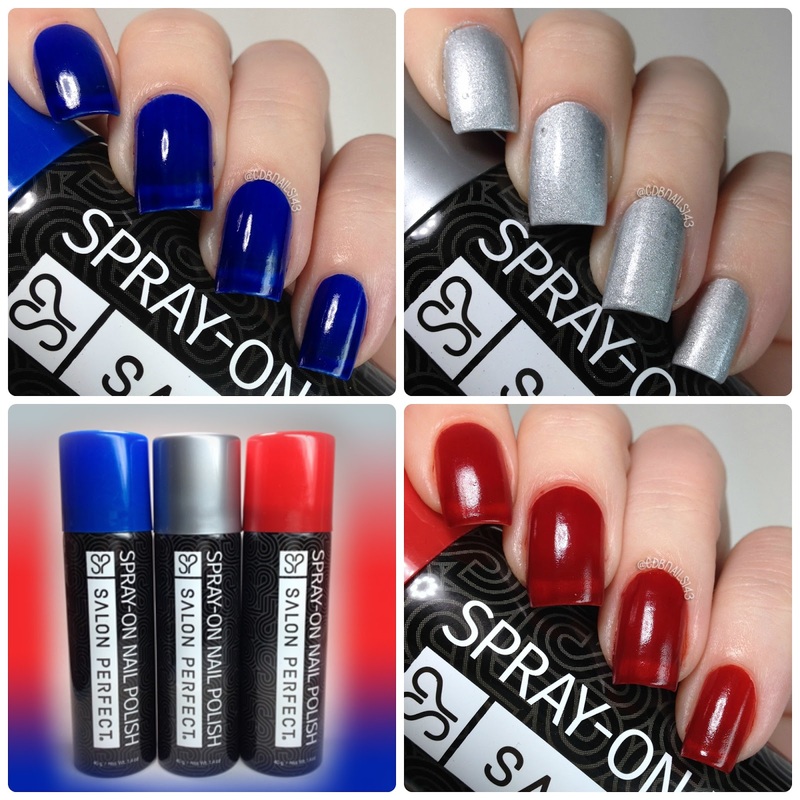 Salon Perfect is one of the most popular mainstream professional nail lacquers and nail art liners sold exclusively in Walmart stores around the world. Salon Perfect lets you play, enhance and express yourself from head to toe. -The red stained my nails and cuticles when removing it. -The red and blue were sheer and streaky and didn't look all that great. The silver was much more opaque. -The silver left little micro shimmer all over the place after sprayed. I was still seeing it float around a few hours after use. I have some Nails Inc stuff, untested as yet. Gotta try it. I wished Salon Perfect was sold over here, they have some beautiful shades in their stock! Spray nail polish is not for me though. I would love to try it, just for the sake of it, but I really don't think this is a successful concept, lol! Thank you for showing us how to use it and for testing the wear time!